We're very happy to announce that Rob Motes (ex-COMA RECOVERY, star of BEERFEST) will officially be joining the ranks of CONSTANTS. We know he has some big shoes to fill, but we all think he's the man for the job. In other exciting news, we will be releasing a 7" vinyl with CASPIAN and touring down to SXSW with CASPIAN & JUNIUS in March. The new record will feature a new song from both bands, which are possibly the most hard-rocking-no-non-sense compositions from either camp. ever. Real gut punchers. Seriously. Speaking of SXSW, RADAR RECORDINGS is putting together an amazing showcase with Austin based GIANT STEPS PRODUCTIONS on 3/16 at Red 7. On top of all your favorite Radar bands (CONSTANTS, JUNIUS, ADAI) the showcase features bands like PORTUGAL THE MAN, TERA MELOS, THIS WILL DESTROY YOU, MAPS & ATLASES, CASPIAN, CONSIDER THE SOURCE, COLISEUM, THE COMA RECOVERY, LOOK MEXICO, BATTLEFIELDS and some other amazing bands we can't announce yet. So you better be at SXSW this year if you know what's good for you. 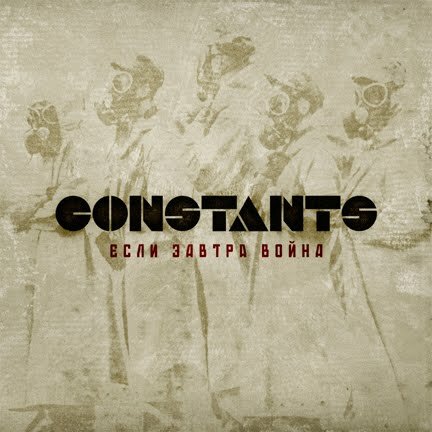 And speaking of GIANT STEPS PRODUCTIONS, they will be releasing a comp for SXSW that will feature another brand new song from CONSTANTS. Yes, that's two new songs in one month. For all of you who have been anxiously awaiting new music from us, March will be your month to rejoice. We've been working hard on recording and we're really excited to bring the new material out on the road. After SXSW, we will be joined by the good old boys of LOOK MEXICO and the old good boys of JUNIUS for a tour through the southwest and up the east coast. It's going to be one helluva time, and I for one can't wait. But ironically I probably won't be able to remember any of it. Go figure.